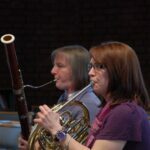 Welcome to the web site of Bolton Chamber Orchestra. The BCO is an amateur orchestra that has been performing in Bolton for over 50 years. We perform three concerts a year in and around the Bolton Area. Our conductor is Cherry Vann. We currently have vacancies for upper strings, especially violists. At the moment there are no openings for wind and horn players. 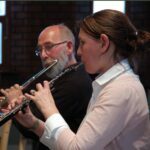 Bolton Chamber Orchestra is a group of amateur musicians who love making music together. 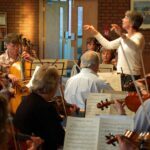 Founded in 1962, it is first and foremost a community orchestra providing opportunities for people of all ages and backgrounds to play some of the greatest works in the classical repertoire. We rehearse at the Triangle in Bolton on Tuesday evenings and perform three concerts a year, plus a scratch Messiah in the weeks running up to Christmas. In the week before our concerts, we usually have an additional rehearsal on the Thursday evening and a final rehearsal at the concert venue on the Saturday morning. Anyone interested in joining us should, in the first instance, email us. Membership will be considered on a case by case basis depending on the needs of the orchestra at the time. Our usual forces are double wind and horns, five desks of first and second violins, two desks of violas, four desks of cellos plus double bass. String players should be of a minimum standard of Grade 6 and wind players higher. 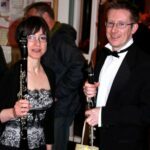 Ideally, prospective members should be able to demonstrate experience of playing with orchestras or other ensembles and have recent involvement in music making of some sort. The orchestra expects a high commitment from its players with attendance at a minimum of 70% of rehearsals and a commitment to personal practice. Subscriptions are paid annually or termly and at the moment are set at £20 per term.